Looking for a great destination for those corporate meetings, incentives, conventions or exhibitions? One that offers five-star venues and facilities, manned by highly skilled, creative and reliable professionals, amid a backdrop of pristine beaches and lush rainforests? The Philippines is it, and so much more, because MICE is more fun in this archipelago of 7,107 islands. The Philippines is a melting pot of Asian and European cultures, creating a unique experience for visitors. The country traces its history to Negritos or aborigines in 30,000 BC to pre-colonial Malay seafarers who established settlements or barangays in Panay Island around the 13th century. It was colonized by Spain in 1521 until 1898 when the Philippines was ceded to the United States. The Philippines became an independent republic in July 1946. Today, the Philippines is a destination on the move. Its economic growth has been stellar: 6.9% GDP in 2016, fueled by the services sector, and projected to grow at 7% in 2017 on the heels of massive spending for infrastructure that will include more roads, airports and seaports. Business is booming as more hotels and resorts open in key and emerging destinations, making the Philippines the go-to hub in Southeast Asia. With five-star properties, world-class entertainment centers, and new international airports to be built in central centers around the country, the doors are now wide open for MICE planners to take a good look at the Philippines and make their value-driven choice for destination pick a lot easier. Sun, sea and sand are trademarks around the Philippines with a coastline that has some of the best beaches in the world. In the north, the sand dunes of Currimao in Ilocos Norte. To the south, the world-famous sand bars in Boracay, Cebu and Bohol, the island getaways in Palawan, and the pristine waters of Samal Island in Davao. Blessed with a tropical climate, the Philippines is a year-round choice for travelers. 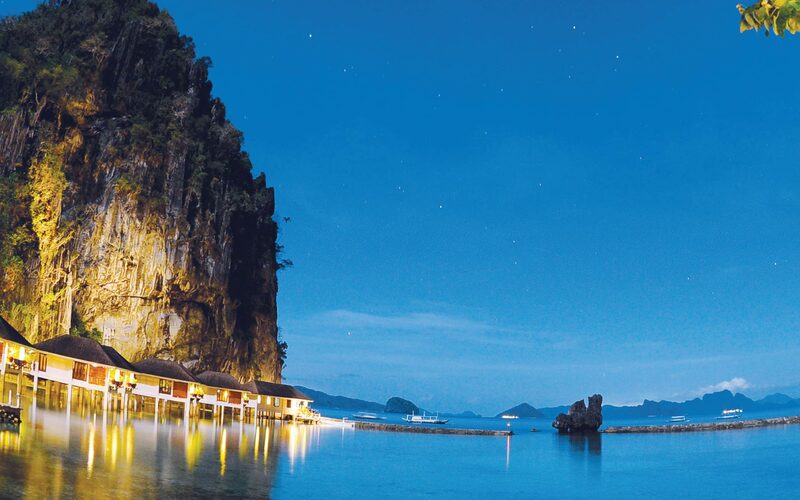 It is a paradise of natural wonders that include the iconic rice terraces of the Cordilleras in Ifugao, the serene Puerto Princesa Subterranean River National Park in Palawan, and the Tubbataha Reefs Natural Park in the Sulu Sea. Its culture reflects this blending and can be seen in its architecture, cuisine, fashion, and even traditions. Filipino culture is a delightful mix of east and west that produces the distinctive Filipino character. Behind this growth is the real gem of the islands, the Filipinos themselves. The Philippines boasts an edge in skilled manpower - young and driven tech-savvy men and women professionals who find it second nature to blend the work and the fun to produce the so-called Filipino touch. With a focus on MICE, the Philippines offers a growing selection of destinations, attractions and activities. The variety of choices are complemented by the versatility of the offerings: cosmopolitan Metro Manila or scenic Bohol? A time hop through 19th century Spanish-themed Vigan City or a beach party in Boracay? A business meeting in Makati and a round of golf at a world-class course just 15 minutes away? The choices and possibilities are endless. The legendary warmth and hospitality of Filipinos make them the perfect hosts. Massive infrastructure spending and a robust economy make the Philippines the perfect MICE destination. We explore key MICE destinations around the country, each with its unique attractions and appeal. Metro Manila is the country's political and economic capital, a bustling metropolis of 12 million people that boasts of world-class hotels and facilities including the country's biggest convention centers (Philippine International Convention Center and SMX Convention Center Manila). It is also the country's main gateway. Metro Manila is made up of 16 cities and one municipality including the capital city of Manila. The metropolis, which covers an area of 614 square kilometers, has a rich history that can be traced back to the City of Manila, which is recorded as a fortifi ed settlement and trading district near the mouth of the Pasig River in the 13th century before the arrival of the Spaniards. In Nov. 7, 1975 the Philippine government created the administrative region of Metropolitan Manila or Metro Manila as it is commonly known today. Because of its rich history, there are numerous historical and cultural landmarks around the metropolis. Chinatown in the city's Binondo district is the world's oldest Chinatown, established in 1594, while Intramuros, also known as the Walled City, was established in 1571. Metro Manila is also the country's shopping capital where high-end malls and bargain centers provide endless choices, as well as numerous dining and entertainment spots that offer limitless gastronomic picks. The Province of Cebu offers five-star hotels and luxury resorts, accessible via the Mactan-Cebu International Airport on Mactan Island. The provincial capital of Cebu City is the country's oldest city and the first capital of the Philippines. The city's world-class hotels make it an excellent choice for meetings, conventions and events. Nearby Mandaue City is the province's business district where 40% of export companies are located. The city also accounts for 75% of all Philippine furniture exports. The rest of Cebu is where white sand beaches and world-class dive spots are located. Some of these facilities are a mere 20 minutes from Cebu City and Mandaue City. Davao is full of iconic images: the majestic Philippine Eagle, the waling-waling orchid, the durian, Mt. Apo, and the native tribes like the B'laan and the Manobo. Th is is Davao, a kaleidoscope of nature and culture. It is also one of the country's emerging meetings and conventions destinations. Now in the midst of a business boom, Davao City has seen the opening of more hotels and facilities. And with the opening of the SMX Convention Center, the city is well on its way to becoming the premier meetings and conventions destination in Southern Philippines. The colors of Davao make it a captivating choice for meetings and conventions. Skilled mat weavers of Sinawilan and the T'Boli handloomers give the city a distinctive ethnic flavor while beach resorts in nearby Samal Island lend an air of paradise. And for nature lovers, Mt. Apo-the country's tallest peak-and the Philippine Eagle Center, a conservation and research facility for the critically endangered Philippine Eagle. Laid back, progressive, unflappable. Iloilo is one of the country's fastest growing provinces. Its vibrant economy is humming with non-stop real estate development-from condominiums and hotels to medical centers, business districts, shopping enclaves, and business process outsourcing (BPO) hubs. Iloilo transports visitors to a time when it was a premier province in the Spanish colonial period. Centuries-old churches can be found the periphery of Iloilo City and one-the Miag-ao Church-is included in the list of UNESCO World Heritage Sites. Ancestral homes of prominent Ilonggos, some of which have been converted into museums or inns, also give a glimpse of past grandeur. Iloilo City is now a highly urbanized hub in central Philippines. The Iloilo International Airport is an easy 30-minute drive from the city. New hotels have opened while existing properties have been undergoing expansion and renovation. The state-of-the-art Iloilo Convention Center was one of the venues for the 2015 Asia Pacific Economic Cooperation meetings. Subic and Clark have long been synonymous with US presence in Southeast Asia, being former major military facilities. Today they are two of the most successful special economic zones and recognized destinations in the Philippines. Subic in Olongapo, Zambales was the former home of US Navy's Pacific fleet. Buildings and facilities left behind were converted and upgraded into hotels and offices while warehouses and storage facilities became logistics centers or retooled to become light industrial plants. Today, Subic boasts of casino-hotels and entertainment centers and the Subic Bay Exhibition and Convention Center. The destination also offers activities such as trekking and a treetop adventure through the 15,000-hectare virgin triple-canopy rainforest, and the Zoobic Safari. There are also beach resorts inside and around the economic zone. Clark in Angeles City, Pampanga was the former base for different units of the US Air Force in the Pacific area. Now known as the Clark Freeport Zone, it is a 45-minute drive north of Metro Manila and is the recognized hub for business, industry, aviation and tourism in the Central Luzon region. The Clark International Airport serves as a regional and international gateway. Plans are underway for a high-speed railway system that will connect Clark Airport to Metro Manila. There are several hotel and entertainment properties inside the 4,400-hectare main zone. Some of these hotels, such as the Fontana Leisure Park and Widus Hotel and Casino Clark, offer meetings and convention facilities. Exhibition and Convention Center. The destination also offers activities such as trekking and a treetop adventure through the 15,000-hectare virgin triple-canopy rainforest, and the Zoobic Safari. There are also beach resorts inside and around the economic zone. Nothing is more representative of the Philippine beach paradise than Boracay. The small island is located in Caticlan, Aklan in Central Philippines. Boracay is the quintessential island paradise-pristine white sand beach, crystal-clear waters, and a vibrant nightlife. 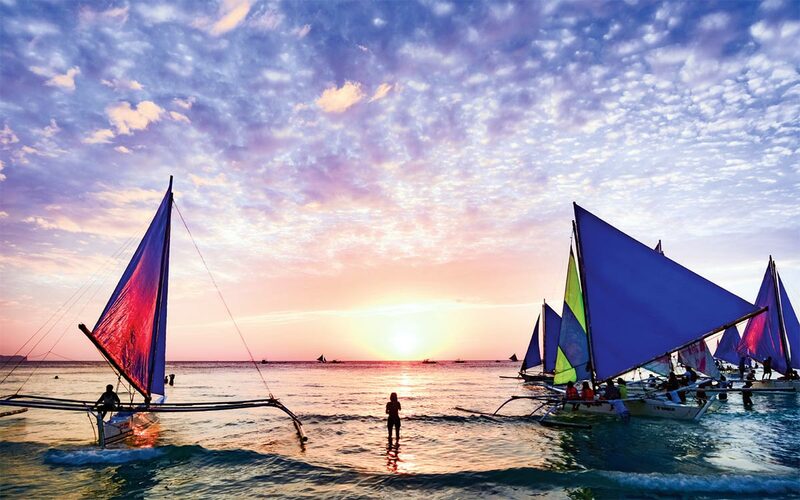 As the cliché goes: it's really more fun in Boracay. Water-based activities like windsurfing and snorkeling are still must-do's while those who prefer staying on terra firma can try a trek or a bicycle ride through the island's interior villages. Visitors can also try a hilot, the traditional Filipino massage, on the beach under the shade of swaying coconut trees. Then the famous Philippine sunset becomes the perfect backdrop for a paraw cruise. And when the sun goes down, Boracay's bars (some like Cocomangas and Epic have become stuff of legend) light up the island nights. The Savoy Hotel Boracay is the latest addition to Boracay's list of prime and boutique properties. The 559-room hotel-resort is touted to have the country's first concert pool arena, a boon for planners for pool-themed events. It is called the Philippines' last frontier for good reason-nature is Palawan's main draw. The destination offers beguiling landscapes of uncharted mountains, mangrove swamps, and lush virgin forests. Palawan's waters are an underwater wonderland of rich marine life, and its bays are said to hide shipwrecks. Puerto Princesa City is Palawan's capital. Dive sites abound in Puerto Princesa Bay, but the Puerto Princesa Underground River (PPUR) is perhaps the definitive natural wonder: an eight-kilometer underground river with world-renowned caves. Palawan's other attractions include Calauit Island, a 3,700-hectare game preserve and wildlife sanctuary that has African wildlife like giraffes, zebras and gazelles, Coron Island with its lakes and lagoons, Honda Bay, and Huma Island where a spa resort is nestled on a remote island. The twin destinations of Cebu and Bohol are a harmony of neon and nature, a perfect blend of cosmopolitan vitality and placid tranquility. Cebu, with its glittering nightlife, is a pulsating metro hub tempered by its rich history. Its five-star hotels and resorts remind visitors that they are in a world-class destination. Bohol is the rustic hideaway. Just two hours from Cebu via fast ferries, Bohol is as much about history and culture as it is about pristine beaches and natural wonders. The famous Chocolate Hills, unique geological formations, spread over more than 50 square kilometers, look like chocolate nuggets in the summer; hence, the name. But Bohol offers so much more: the Philippine Tarsier and Wildlife Sanctuary, a river boat ride along the serene Loboc River, a whale-watching expedition from Balicasag Island, or a relaxing spread on the white sands of Panglao Island. The cool climate of the mountain region of the North have lured lowlanders for generations, and earned for Baguio City the title of "Summer Capital of the Philippines." The city sits on a plateau 1,500 meters above sea level, giving it a cool and crisp pine-scented air. Baguio City off ers the sights and sounds of a quaint town: visitors will jostle with locals at the Baguio Market where indigenous craft, fresh produce and tribal looms can be found. The city is also the gateway to attractions in the Cordillera region such as the fruit and flower farms of La Trinidad, the Asin hot springs, and the Malabisin underground river. Further north is Banaue, home of the iconic rice terraces, pine forests, and hidden waterfalls. Picturesque Sagada town is popular with the Manila bohemian crowd and is where centuries-old mummies and burial caves of the native Igorot tribes are found. Vigan is the capital of Ilocos Sur province in Northern Philippines. With its well-preserved 16th century townscape including cobblestone roads, calesas, and Hispanic era architecture, Vigan has been listed as a UNESCO World Heritage site. Its culture is a fusion of European, Chinese, native, and Mexican influences, with attractions such as the city's Calle Crisologo where ancestral houses stand, and artisans who keep the ancient crafts of weaving and pottery-making alive. Laoag in neighboring Ilocos Norte is a one-hour-and-a-half road trip further north from Vigan. With an international-class airport and a host of hotels and inns, Laoag was, for a time, the gateway to the country's northern corridor. Among its attractions are the historic Paoay Church, the Bangui windmills, and the sand dunes of La Paz. Organizing a successful MICE event entails meticulous planning and precise execution, but it often starts with concept and marketing creativity. And it also helps to have a wide range of choices for special and unique venues that gives planners flexibility in crafting an event. The Philippines has several unique venues for out-of-the-box event concepts. Intramuros in Manila is the historic Walled City that is part of Philippine history. The 26-hectare district is home to curio shops, bistros, centuries-old churches, and events venues that provide a signature rustic ambience. Some of the venues within the district: Intramuros Rooftop, a fully air-conditioned venue that provides a beautiful, unobstructed view of the historic San Agustin Church and Manila Cathedral. It has an indoor area that can accommodate up to 20 people and an airconditioned outdoor patio area that can hold up to 60 people. Club Intramuros is a par-66 golf course with a clubhouse that has function rooms, a banquet hall, and a rooftop space available for open air or tented events. Th is events place is located along scenic Roxas Boulevard in Manila across Manila Bay near the tourist district on MH Del Pilar Street. It has an 800-square meter Main Hall, a 133-square meter Anteroom, and a 135-square meter Seaview Hall on the second floor of the Anteroom. Its facilities and location makes it a preferred venue for corporate and social events of 400 to 500 persons. Th is venue is located in Parañaque City at the 204-hectare Aseana City along Manila Bay. It has three main halls-the Sinulog (800 square meters, up to 500 guests), the Pahiyas (500 square meters, up to 300 guests), and the Pintados (300 square meters, up to 200 guests). It also has three function rooms, each able to accommodate 50 guests. A roof garden facing Manila Bay may be used for sunset events or ceremonies. The Palace is an events place in Uptown Bonifacio in BGC in Taguig City (about 15 minutes from Makati City) that has three different clubs and a restaurant under one roof. Valkyrie is touted as the Philippines' biggest nightclub that can hold up to 2,500 people. It boasts top-of-the-line lighting and sound equipment and six skyboxes. Th e Pool Club can accommodate 4,000 guests-it has two swimming pools, multiple bars, a satellite DJ booth, and a main stage DJ booth for international acts. It also has 12 exclusive airconditioned cabanas, each with a personal butler. Revel is a luxury club designed as a more mature, upscale, and intimate establishment. Café Naya is a fusion resto that offers coastal cuisine and complements the ambience of the Pool Club. Th is events venue on the hills of Metro Cebu was long known as one of the island province's storied restaurants. Today it is one of her most sought-after events venues. Chateau de Busay off ers three halls and two gardens for functions and events: the City View Garden, with its panoramic view and a glass gazebo, can accommodate up to 350 guests; the Lower Garden, ideal for garden ceremonies can host up to 200 guests; Upper Hall fi ts up to 350 guests; Garden Hall has a seating capacity of 200; and the Rooftop, for smaller gatherings of up to 100. The Philippines has gotten an upgrade with world-class convention, events, and incentives venues now available for planners and groups to choose from. Renovated and expanded exhibition centers, new meetings and events spaces, and even incentives and special interest venues in Metro Manila and key destinations around the country are helping put the Philippines on the global MICE map. The PICC sits on a sprawling complex along Manila Bay and offers 70,000 square meters of available space-its Plenary Hall, with 3,175 sqm, can conveniently accommodate up to 3,500 people in a theater set-up for conventions or special events, and the Reception Hall, with its permanent stage and dressing rooms designed for live shows and special events, has 5,040 sqm with a mezzanine. The PICC also has 12 meeting rooms (six are brand new), two boardrooms, two banquet halls, and a three-storey Secretariat Building that has an additional seven meeting rooms and a 552-sqm banquet hall. An outdoor area can be utilized for special events with a 3,400-sqm landscaped Courtyard that can accommodate up to 1,200 persons for banquets or cocktails. The WTCMM in Pasay City is the largest indoor exhibition facility in the Philippines with 11,300 sqm of continuous space and a 1,300-sqm pre-function lobby for registration and information counters. The four halls can host up to 12,000 people for cocktails or 7,500 for banquets. It also has four premium function rooms for seminars and conferences located at the mezzanine with 1,210 sqm of space. There is a Business Center Boardroom for high-level board meetings and a VIP Lounge for dignitaries and VIP guests. The SMX Convention Center Manila in Pasay City is located beside the expansive SM Mall of Asia along Manila Bay. It is owned by the SM Group of SM Prime Holdings, the biggest mall developer in the Philippines, and has three other smaller SMX convention and exhibition centers in the country which are located inside the group's malls. The SMX Manila facility has four exhibition halls, five function rooms, and 14 meeting rooms with a total space of 21,000 sqm. The exhibition halls on the ground floor have a total area of 9,130 sqm with a 900-sqm main lobby. Its function rooms, located on the second floor, have a total area of 7,100 sqm. Total area for its meeting rooms is 926 sqm, and a 300-sqm pre-function lobby. The two-storey Iloilo Convention Center is located at the Iloilo Business Park in Iloilo City, about 20 minutes from the province's international airport. It has a floor area of 11,832 sqm, with the main hall on the ground floor offering seating of up to 3,700 and 500-seat functions on the second floor. There is outdoor space of 1,500 sqm at the rooftop. what's hot, intense and exotic? Understanding the real tastes of local food at WSFC 2017. The 2017 World Street Food Congress was a one-week foodie extravaganza in Manila that reinforced the impression that the Philippines was well on its way to becoming a major food destination in Asia. THE EVENT drew participation from 28 hawkers from 13 nations. With a bigger space (Mall of Asia Concert Grounds at the Manila Bay area), there were no queues at the entrance, and lines were shorter and moved faster at the food stalls. Organizers estimated that 68,000 visitors attended the event. The event is organised by Singapore-based Makansutra Pte Ltd of entrepreneur- photojournalist K.F. Seetoh, who had previously held the event in Singapore. Hosting the event brought with it opportunities, as well as challenges, for the destination: it put the focus on the richness and diversity of Philippine cuisine. But it also exposed a surprising fact: that despite the popularity of street food in the Philippines (think fi shballs and roadside barbecues), the destination did not really have a street food culture. scene in the way that dishes like phad thai or char kway teow give a culinary identity to their destinations of origin. WSFC has brought a diff erent perspective to Philippine cuisine, and in the process is slowly transforming how the country can use heritage cuisine, presented as street food, not only as a marketing tool but as a cultural and even social anchor. World-renowned chef and author Anthony Bourdain, for instance, raved about a popular local pork dish called sisig. Calling sisig "casual and accessible," he said the dish "is perfectly positioned to win the hearts and minds of the world as a whole. I think it's the most likely (Philippine dish) to convince people abroad who have had no exposure to Filipino food to maybe look further and investigate further beyond sisig. I think that's the one that's going to hook them," the outspoken Bourdain declared. The international airports are located in Manila, Cebu, Davao, Clark, Iloilo, Laoag, Puerto Princesa, Bacolod and Kalibo, with the Ninoy Aquino International Airport (NAIA) Terminals 1,2, and 3 in Manila as the premier gateways. They serve more than 39 airlines that fly to diff erent cities around the world. (MCIA) in Lapu-Lapu City handles flights from Hong Kong, Korea, UAE, USA, Japan, Taiwan, Singapore and China. Davao International Airport handles flights from Singapore and other chartered fl ights. Clark International Airport services flights from Hong Kong, Macau, Singapore, Korea, UAE and Qatar. Airport fees of PhP750 (about US$18) for international flights and PhP100-200 for domestic fl ights (paid in Philippine pesos only) will be charged upon departure in some terminals except Manila and Cebu. The Philippines' monetary unit is the peso, divided into 100 centavos. Bills are in 20, 50, 100, 200, 500, and 1,000 pesos. Coins come in 5, 10, 25 centavo and 1, 5, and 10 peso denominations. Next to the peso, the US dollar enjoys wide acceptance. Most foreign currencies can be easily exchanged at hotels, large department stores, banks and authorized money changing shops accredited by the Central Bank of the Philippines. Private and government offices are open either from 8:00 a.m. to 5:00 p.m. or from 9:00 a.m. to 6:00 p.m. Some private companies hold office on Saturdays from 9:00 a.m. to 12:00 noon. Most shopping malls, department stores, and supermarkets are open from 10:00 a.m. to 8:00 p.m. daily. Th ere are 24-hour convenience stores and drugstores. Banks are open from 9:00 a.m. to 3:00 p.m., Mondays to Fridays, with automated teller machines (ATM) operating 24 hours. Tipping is traditional in many services. The standard practice is 10% of the total bill. Tipping is optional on bills that already include a 10% service charge.